How is the property market doing pan-India? Apart from New Delhi and Chennai, where we see slow offtake, the market is good in other major cities. By good I mean, we are doing good business. How do you see property prices moving? As I see it now, I don’t see any increase in property rates happening. What about interest rates, especially in the wake of rising bond rates? Yes. Interest rates are rising a little bit. But let me put it this way. I don’t think the rates are going to come down. I think next year we will see a quarter to 1 per cent increase in rates. Is this rise in rates low, or how do we understand it? A quarter to half a per cent is nothing when compared to the high interest rate days, when home loans were going at 13-14 per cent. Now they are at 8.3-8.4 per cent. So they may go up to 8.9-9 per cent. How is HDFC’s home loan growth? At 23 per cent, our home loan growth is excellent. We have seen good growth coming from Mumbai, Bengaluru, and Pune. In the National Capital Region (NCR) it is a little slow. Otherwise, home loan growth normally is about 15-18 per cent. Are any banks on your radar for acquisitions? We are always on the look out whenever an opportunity arises. How far are you in picking up CanFin Homes? Actually, you should ask them, because five to six people are talking to them. I don’t know what pressure of time they have and don’t know when they need to announce it. Yes, we are also talking to them. Have you firmed up your business plan for the next fiscal (2018-19)? We are in the process. But I can tell you we are looking at 15-18 per cent growth. How is the borrowing by property developers? They, I think, are now looking at new avenues. PE funds are giving them money. Banks have also started to explore. Once the sector gets used to new regulatory framework, we could see good amount of lending. Definitely the last one year had been challenging from them. But I think in the next six months, things should settle down. Mumbai, Mar 5 (PTI) Even as rivals continue to be reluctant about adopting external benchmarks for setting lending rates, American lender Citi today launched the countrys first market benchmark rate-linked lending product. The bank has introduced a home loan product that will be linked to the rate of treasury bills, which is used by government for its short-term borrowings. The lender, which already has similar external benchmark-linked products in other markets like the US and Singapore, said it does not see any impact on net interest margin (NIM), a key determinant of profitability, because of the launch of the product where a borrowers rates will be reviewed every three months. Frustrated at poor transmission of its policy moves into lending rates for borrowers, the Reserve Bank had last October mooted the idea of moving to a market-linked benchmark and suggested three such instruments, including the T-bills rate, the rate for certificate of deposits and its own repo rate to determine the interest rate. Bankers, led by their lobby grouping Indian Banks Association, had opposed such a move, claiming that the existing marginal cost of funding based lending rates is working well and also pointed out that deposits are not linked to any market benchmark. Citis country business manager for global consumer banking Shinjini Kumar, said a shift to a market benchmark like the T-bill is transparent, simple and will also help with better transmission. Loans will be sold at a fixed spread above the T-bill rate which will be maintained throughout the loan tenure, she said, adding there will be quarterly readjustments for the borrower. There will be a range of spread above the T-bill rate which the bank will follow, its head of secured lending Rohit Ranjan said, adding the average spread will be 2 percentage points. Existing customers will also be able to move to the new product without any refinancing costs, he added. The banks country treasurer Badrinivas NC sought to downplay concerns surrounding customers being exposed to T- bill rate volatilities, which may happen due to external events like the taper tantrum in 2013 and hinted that the rates also reflect the policy decisions at a particular point of time which get captured through the quarterly resets. He said the bank has a diversified liability profile, including a high 60 per cent composition on the low-cost current and savings account deposits and also other retail term deposits, which will make it possible for it to offer such a product. The bank feels the RBI will be on a long pause and may go for a hike in rates only if there is a surge in inflation, he said. In a few cases, especially concerning top corporates, the bank has been benchmarking rates against market benchmarks but those were deals done on a one-on-one basis, and this is the first time that any lender is going to the market with such an offering, Kumar said. The bank had a gross home loan book of Rs 9,000 crore, while the overall India book stood at Rs 57,000 crore as of December 2017. Even as rivals struggle with dud assets, its NPAs on the mortgage lending is a healthy 0.05 per cent, the bank said. Commenting on the recent changes in priority sector lending (PSL) requirements for foreign banks, Kumar said Citi is already compliant on PSL requirements, including the sub- categories and in some cases it uses priority sector lending certificates. NEW DELHI: Several lenders, including State Bank of India, ICICI Bank and Punjab National Bank on Thursday announced an increase in lending rates, a move that may make your home loans a little expensive. The hikes come amid tightening liquidity or cash supply in the banking system, accentuated by the year-end rush that prompted SBI, the country’s largest lender, to raise deposit rates by up to 50 basis points for retail borrowers. On Thursday, SBI increased its marginal cost of lending rate, which is linked to the interest rate on funds raised by a bank, by 20 basis points (8.15% from 7.95%). Like SBI, starting March 1, ICICI Bank and PNB increased their MCLR but by a slightly lower magnitude of 15 basis points. Some lenders such as HDFC Bank will review rates next week. 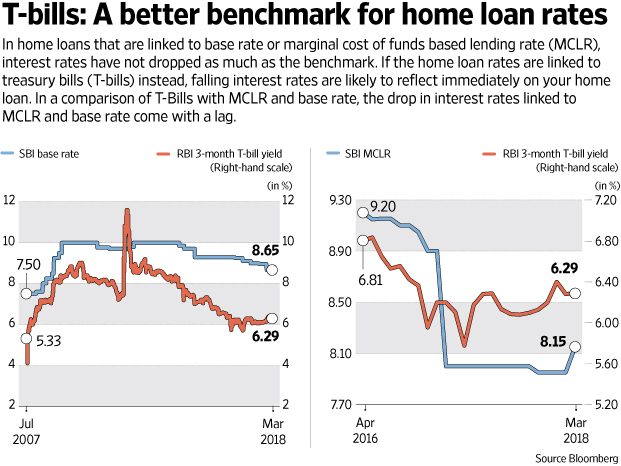 Typically, while extending a home loan, banks keep a spread over the MCLR which results in a higher interest rate on these loans. PNB said that its home loans will cost 8.6% for most borrowers, while women will get it at 8.55%. SBI has a spread of 40 basis points over the MCLR for most borrowers and 35 basis points for women borrowers (100 basis points equal a percentage point). While the government has been seeking a lower interest rate and has repeatedly prodded the Reserve Bank of India to pare policy rates, the central bank has resisted a softer interest rate regime, arguing that there is a risk of higher inflation given the recent rise in global crude petroleum prices as well as the impact of domestic measures such as higher allowances for government employees following implementation of the seventh pay commission recommendations. Besides, it has pointed to higher food prices to refrain from cutting policy rates. With economic growth picking up, RBI may not move that path now and last month the government’s chief economic adviser Arvind Subramanian had acknowledged that the scope to lower rates may have narrowed.